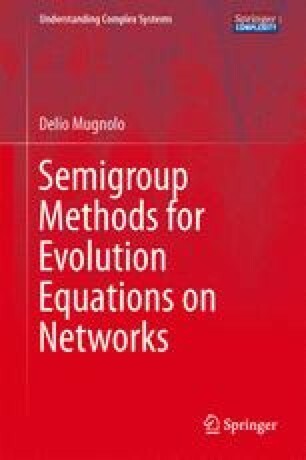 In the previous chapters we have introduced a convenient functional analytical framework for studying evolution equations on network-like structures, along with some first examples. In the next chapters we will devote much attention to the investigation of properties of partial differential equations that are motivated by applications, and we will do so by applying the methods developed in the first half of the book. The reader will be perhaps puzzled to see that virtually all evolution equations treated in the next chapters are of diffusion and wave type. Why are wave and, above all, diffusion phenomena so ubiquitous in nature? An answer is not known—or perhaps this question is ill-posed all-together. Still, we feel that we owe the reader some convincing examples of real-life emergence of diffusion-type equations as well as of differential equations in networks.